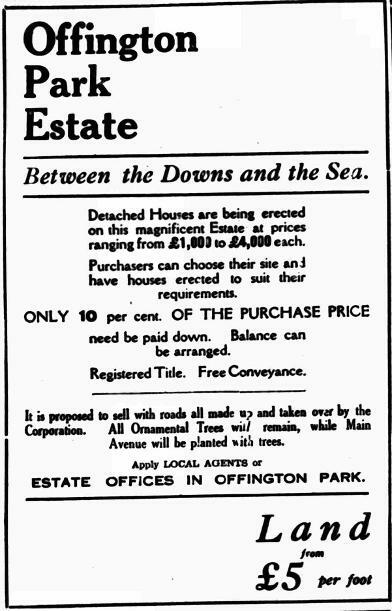 As part of our research, we have found many other items of historical interest, some too good not to share. Although they many not be specifically related to the Charmandean Estate, we have listed some below. Whilst we appreciate not all of the below articles are of interest to all readers, we have included a variety of miscellaneous articles we have found during research. 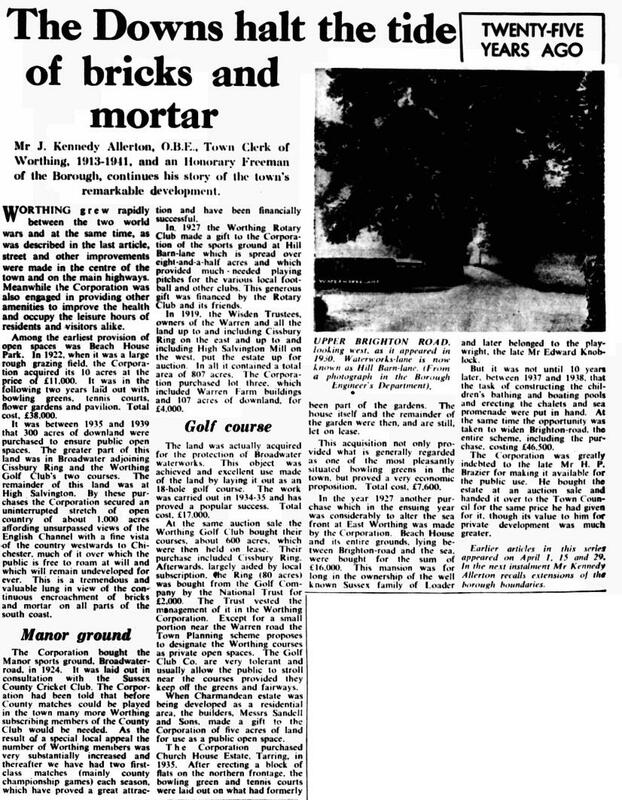 We would like to note both the National Library of Scotland Maps (https://maps.nls.uk/) and the British Newspaper Archive (https://www.britishnewspaperarchive.co.uk/ ) are fantastic sources of information, and have saved many hours sitting at Worthing Reference Library scrolling through old microfiche! 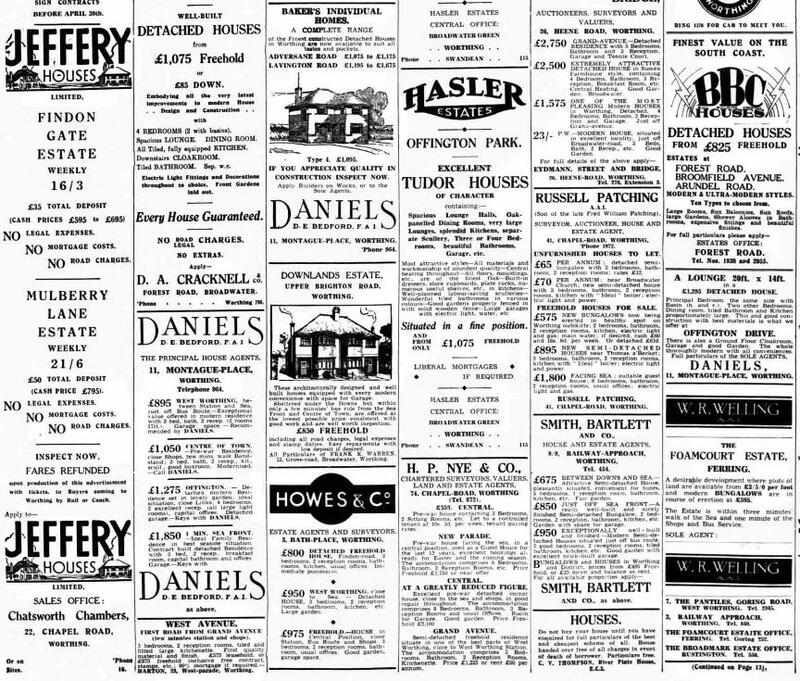 The articles below are mainly grouped into people or areas - it provides a glimpse into the newspapers of the past. We may refine this page in the future as it is long! 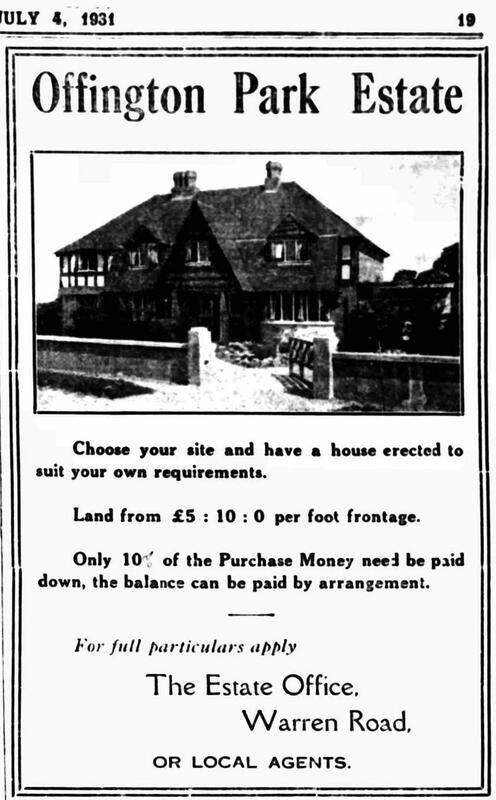 This site would have information missing albeit for Henfrey Smail's book, Notable Houses of Worthing - Offington, Broadwater and Charmandean. 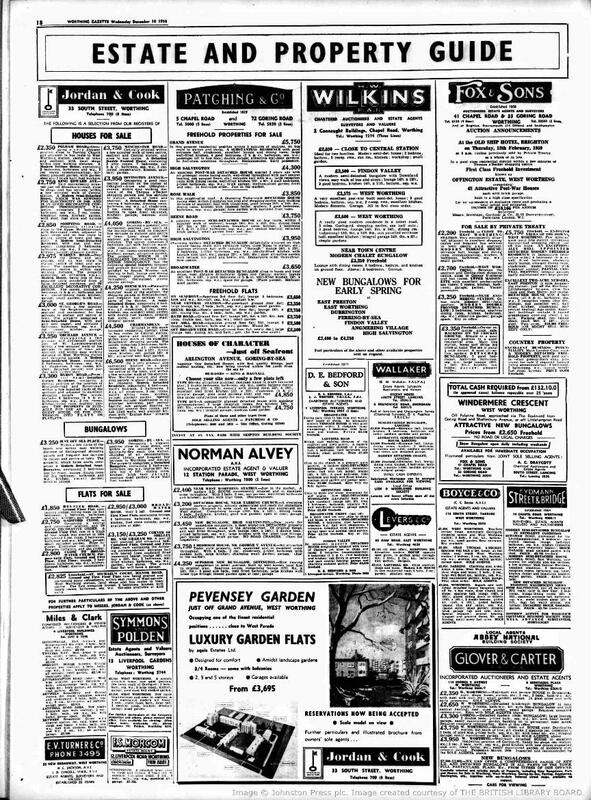 Mr Smail was a historian of his time, and he did a lot of research in the 1950's to produce these titles; this website only layers on more information before, during and after those times to provide a fuller picture of Charmandean. The below articles don`t fit into any specific category, but we have listed here as they may be of interest. 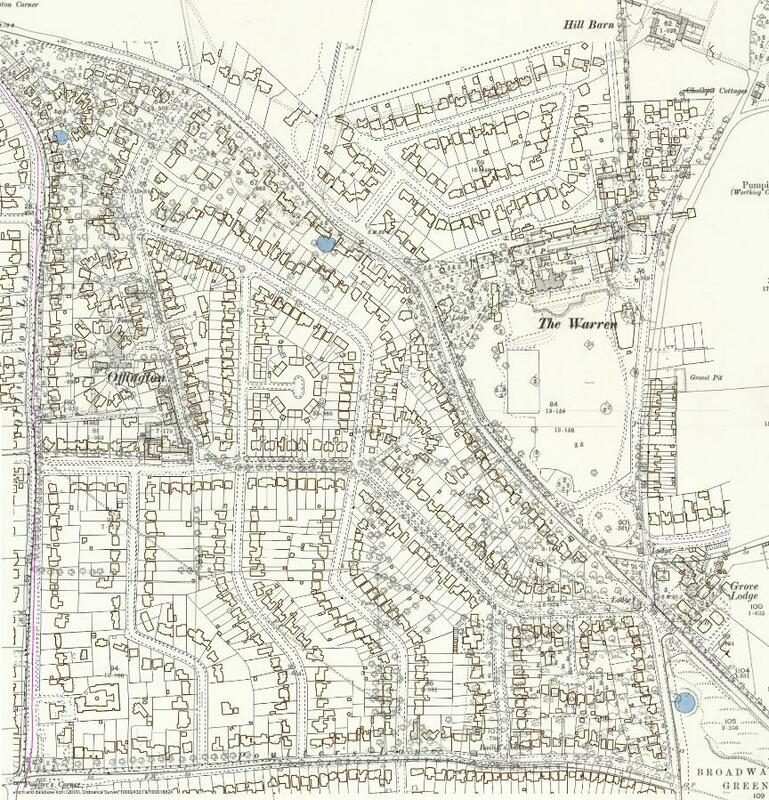 As we know from other pages on this site, the well-known building firm Frank Sandell and Sons built many of the houses on the Charmandean Estate. 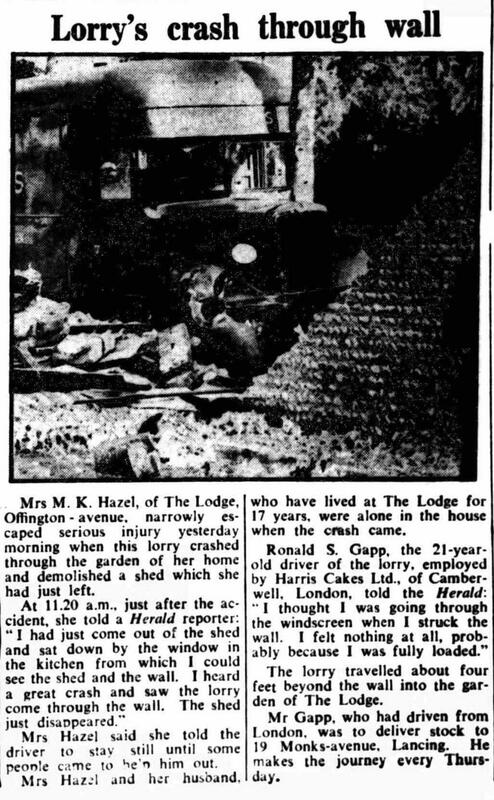 The article on the left is from 2nd November 1945. 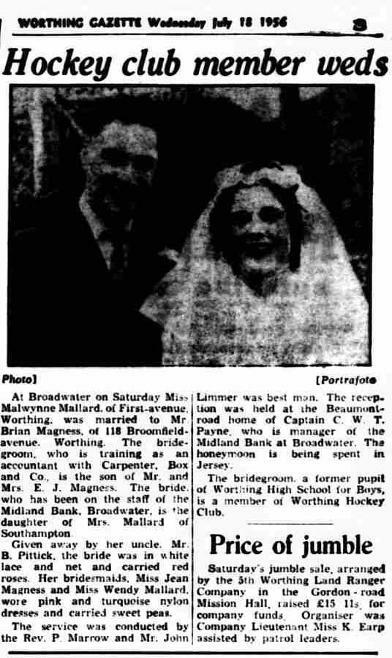 Some readers have asked if we have photos of family members who lived in Charmandean, when important events mean`t they were in the local press. Unfortunately the copies we have are only as good as the scanned copies, but some might be of interest. 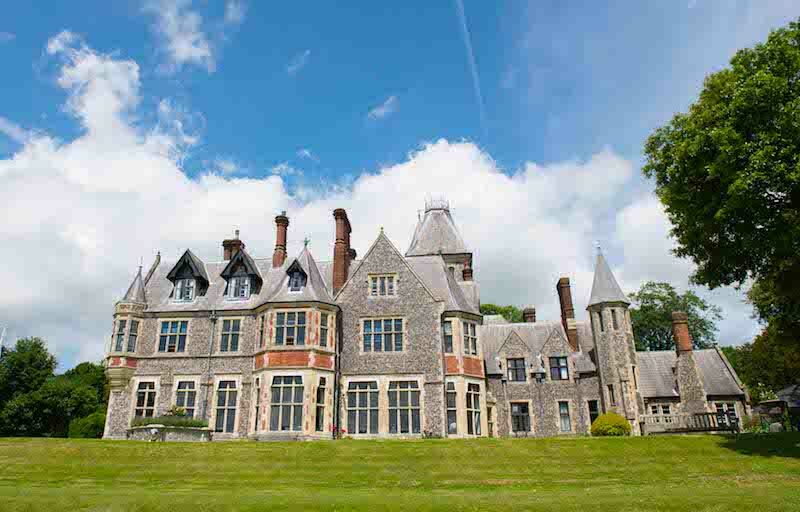 The Warren was an individually designed house, designed by Phillip Charles Hardwick, the same architect as Sompting Abbotts, in the neo-gothic style. 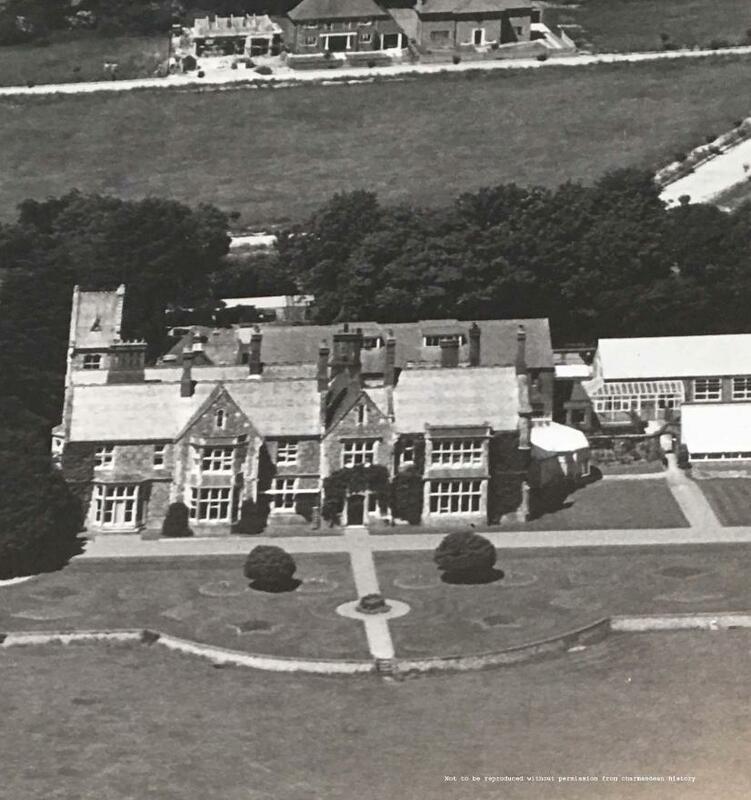 This is a fantastic aerial photo of The Warren, before it was demolished, when Hillside Avenue was just starting being developed. Many thanks to the owner of this photo for allowing us to share this, please note it is not be to reproduced without permission. 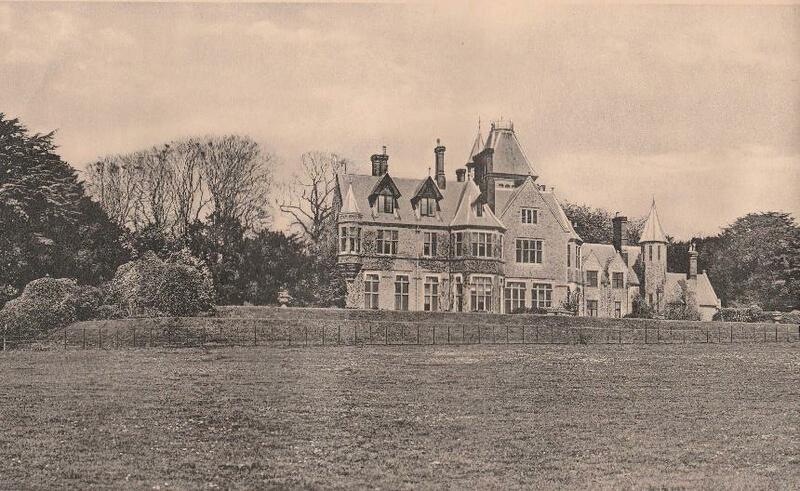 Below is another photo of the Warren, clearly showing off it's neo-gothic style. 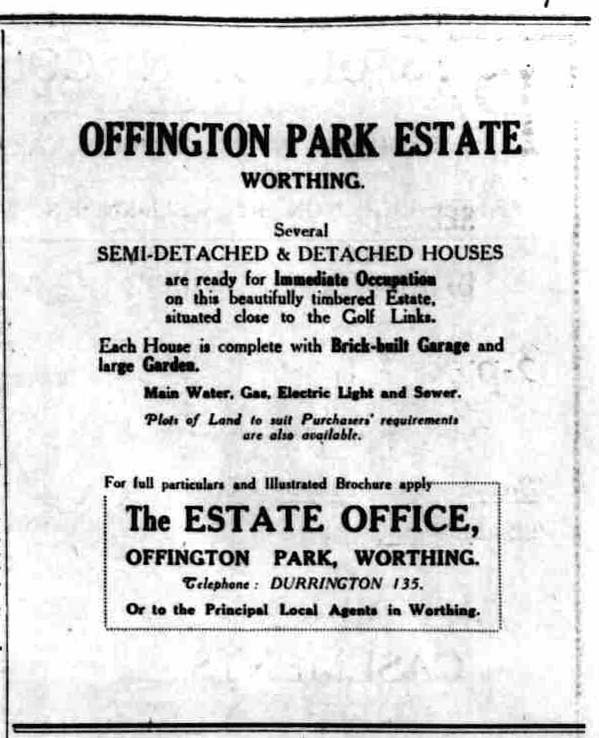 The below photo/advert can be seen in the reception of Worthing College, which is of course built on the site of The Warren. 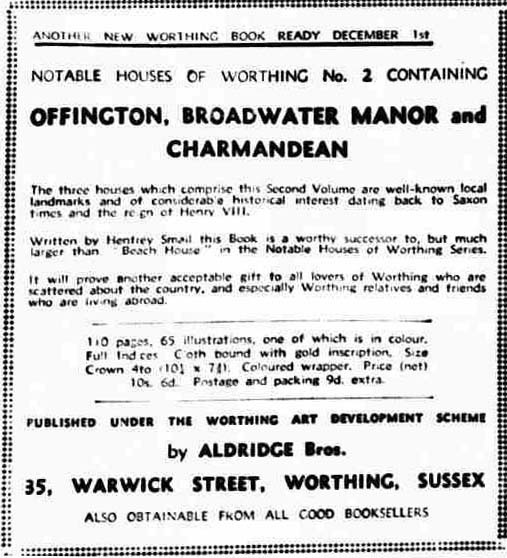 If readers wish to find out more information on the Warren, then Henfrey Smail's book 'Notable Houses of Worthing - Offington, Broadwater and Charmandean' contains additional details. 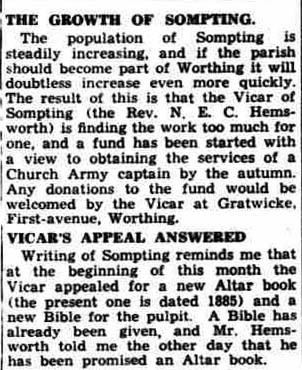 Sompting Abbotts, Sompting Church, Charmandean and Offington have always had links over the years, as they were the some of the main country houses of Worthing at the time. 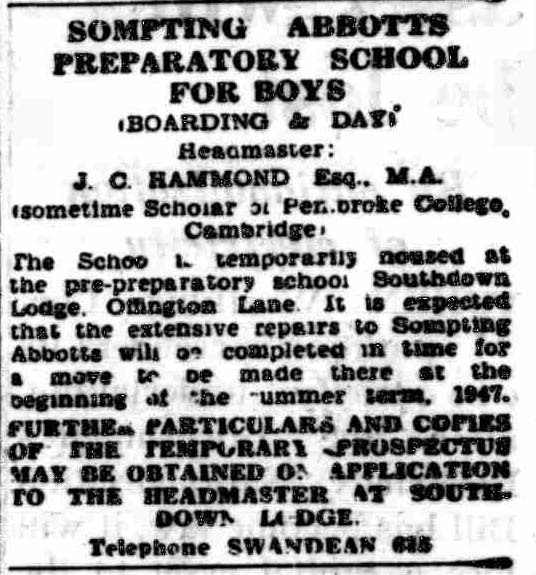 The article below left is from 17th Jan 1947, referring to Sompting Abbotts school returning to it's home after 'extensive repairs', and the below right is when the Rev. N E C Hemsworth lived in First Avenue, Charmandean. 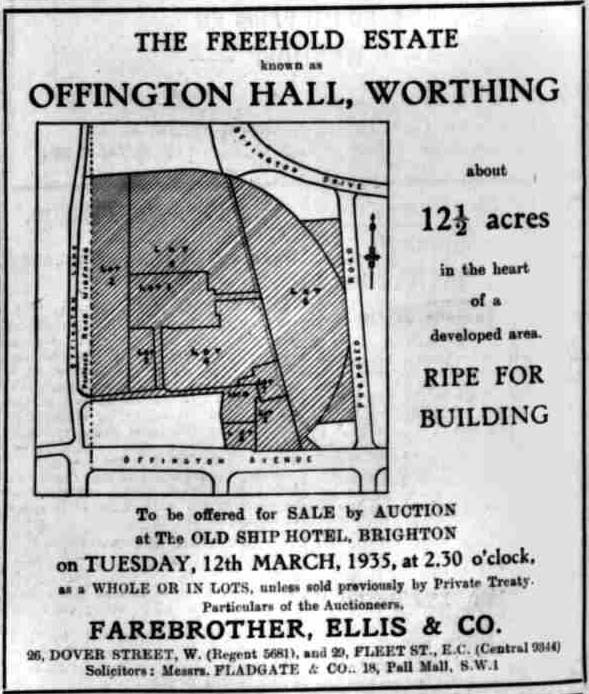 Considering Sompting Abbotts is Grade II listed today, can one imagine why the Worthing planners at the time wanted to demolish The Warren?! 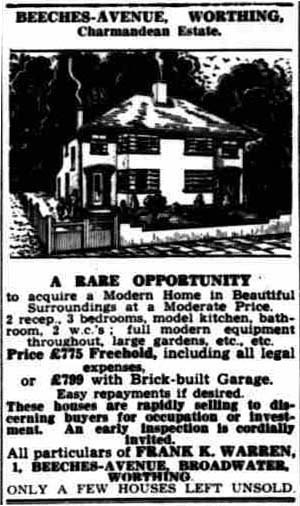 What a fantastic building it must have been. 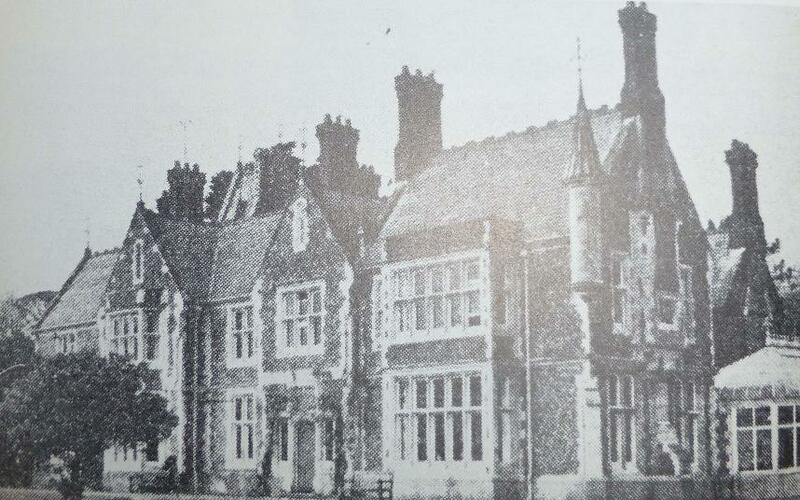 Below is a photo of Sompting Abbotts, perfectly showing off the neo-gothic style of architecture by Phillip Charles Hardwick, architect of both The Warren and Sompting Abbotts. 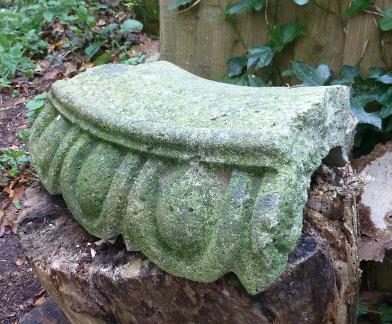 As well as the architectural pieces of history mentioned on this site, located in private gardens, some Charmandean Residents have also found items buried in their gardens, such as this piece - could this be part of the great house's history? Part of the fountain perhaps! If you are a resident and have found interesting items in your garden, please contact us. 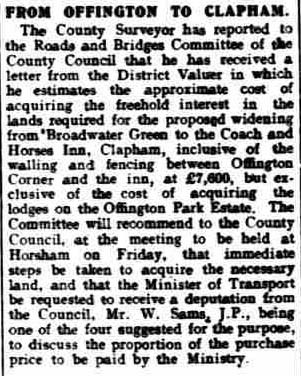 Not wanting to tread on the toes of any historians in Offington, the following articles of local interest we have found as part of our research and some readers might find interesting. 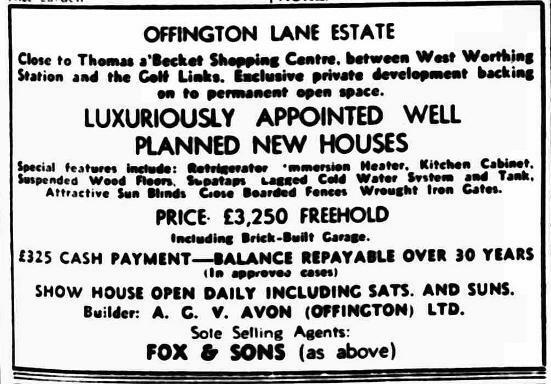 Offington Lodge - which was demolished as part of the Broadwater Road widening, would have been located at the north end of Broadwater Green. 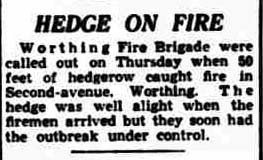 This article is from the Worthing Herald, 6th October 1950. 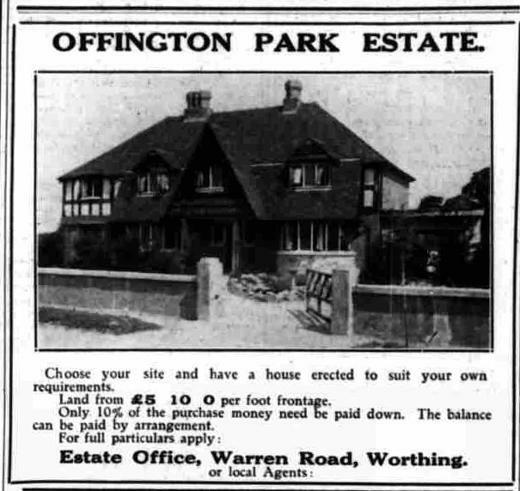 The Offington Lodge should not be confused with the Warren Lodge, as they do look similar, and the Warren Lodge is still standing today on the East side of the Warren Road. 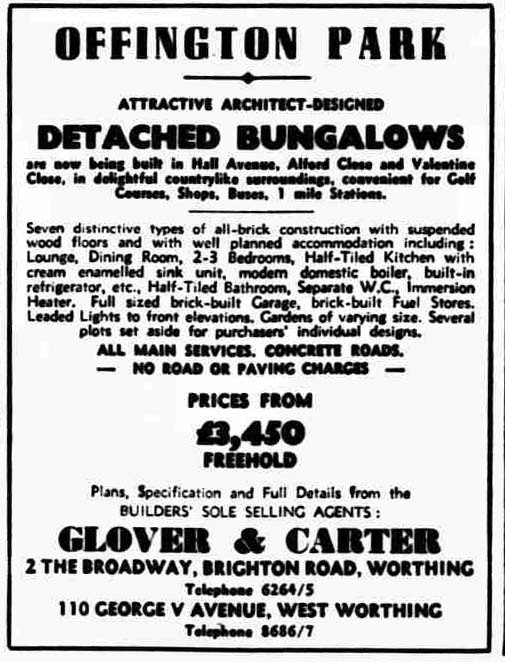 Advert in the Worthing Herald, 1955, for Hall Avenue - which was built only when Offington Hall was demolished. 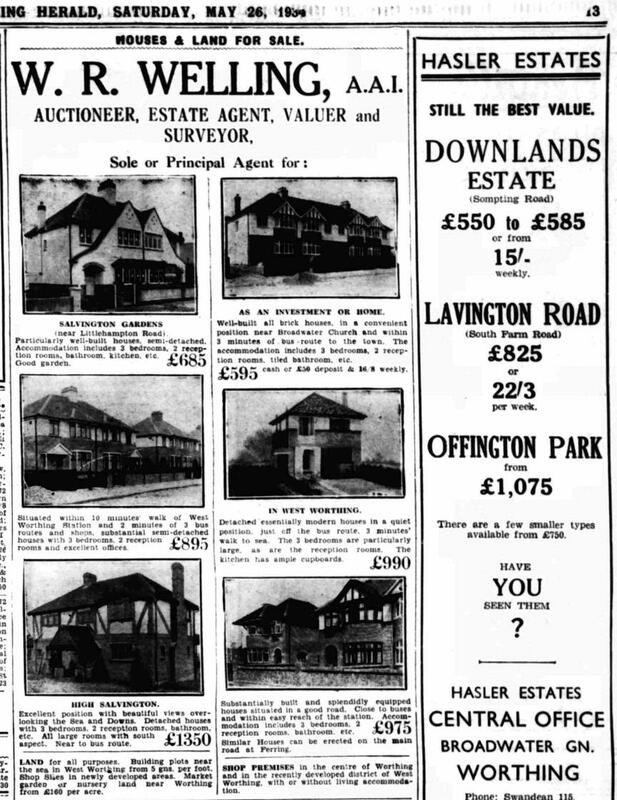 As many readers liked the 1910-2018 overlay of Charmandean, we thought we`d do the same for Offington and share in this 'general' section. 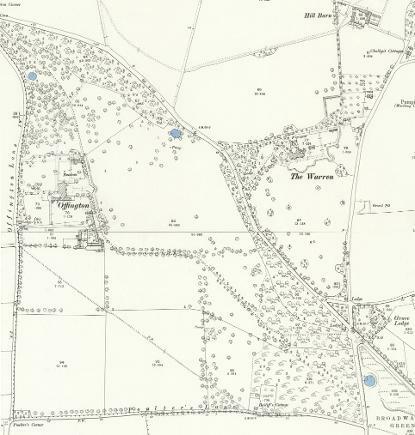 * The path on the left of the top-centre led to Warren Farm, today part of Links Road Golf course buildings. 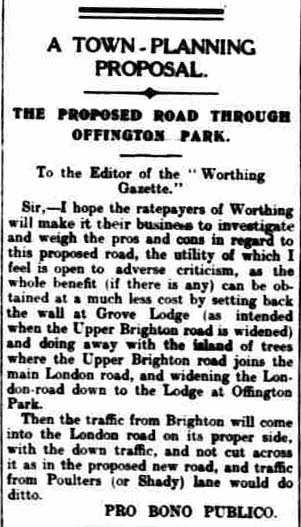 * Note Offington Lodge by Broadwater Green - this was demolished as part of the road widening. 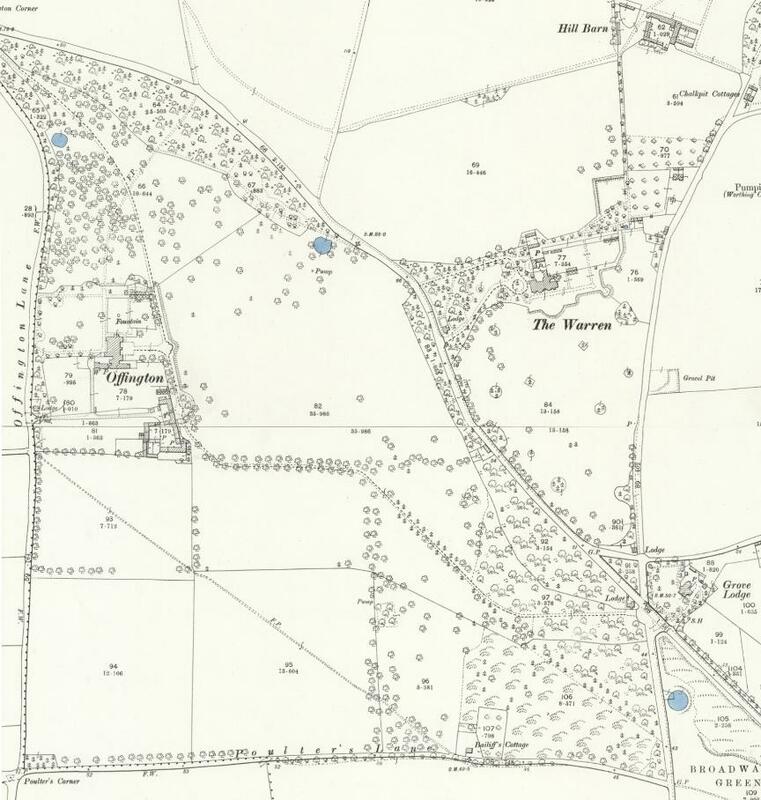 * The right angular shape North East of The Warren was used by as Tennis courts when it was a girls' school. This forms part of Sanditon Way today. 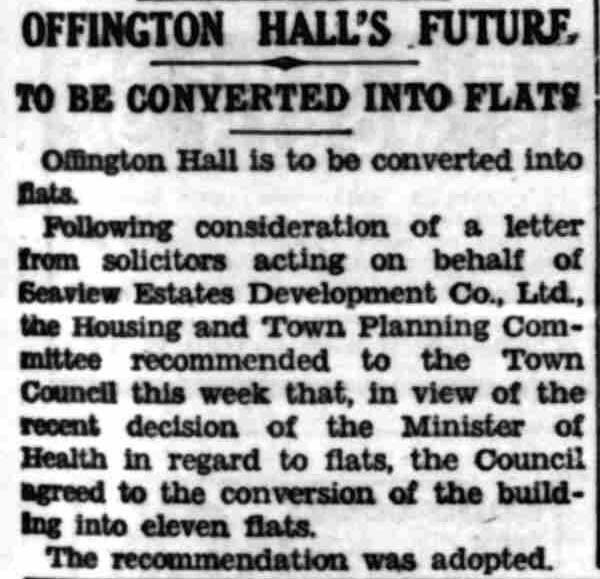 * We can see the Hall Avenue was positioned directly in line with the terrace/path in front of Offington Hall. * One of the properties in Alford Close has the location of the fountain at Offington Hall in their back garden! 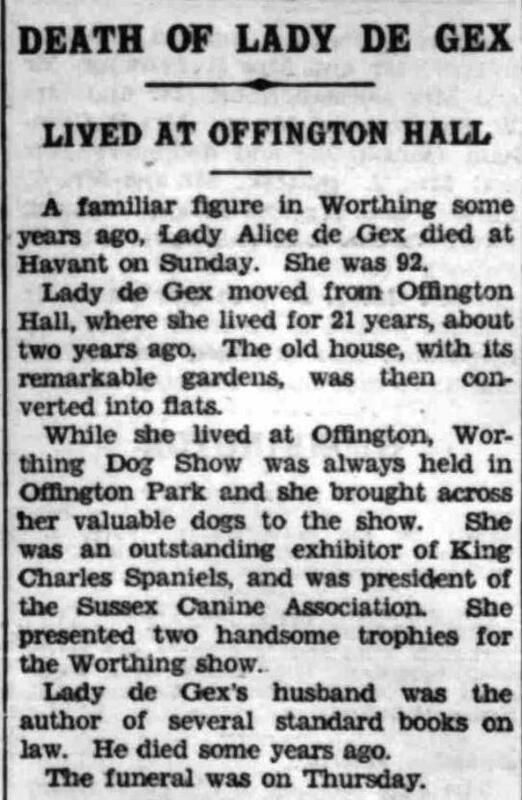 If there are any historians in Offington who would like to get in contact, please use the Contact Us page.